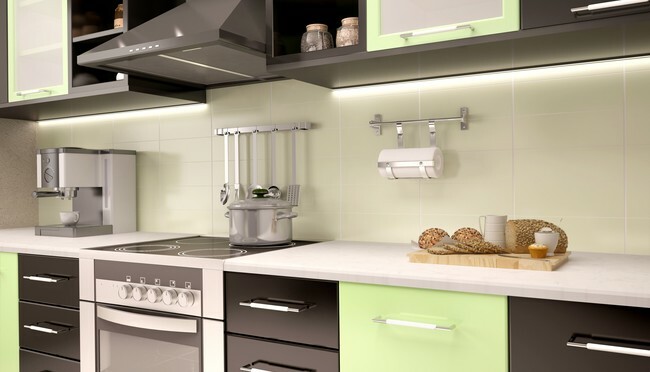 If you think the new year may bring a new kitchen for you, you may now be thinking about exactly what you want that to look like. What style should your new kitchen be? What should it be fitted with? What themes are popular right now and what’s going out of style? In this blog we discuss some top trends to give you a touch of inspiration. 1- Think Eclectic. A trend that looks set to continue into the new year is the use of lots of different themes and concepts to create a sense of homely variation. There’s no need to stick to one style rigidly – mixing it up a little will bring your kitchen to life and make it feel more personal to you. Using different materials and finishes can be a great way to do this, as long as you don’t go too mad and end up with different elements clashing. Try creating a mood board first for inspiration – this will help you then settle on what styles you’d like to incorporate. 2- Get creative with your worktops. There’s a reason why granite and quartz are so popular as materials for worktops – they look great, they’re resistant to heat and scratches, and they stand the test of time. But just because you use these materials, doesn’t mean your worktop needs to look the same as everyone else’s. A good supplier of worktops will be able to provide a range of colours and patterns to ensure your worktop fits with the themes present in your kitchen and around your home. 3-Darker furniture. It’s now becoming fashionable to use a lot of grays and blacks in kitchen furniture. They’re flexible, working with various different styles of worktops and cabinets, and give a distinctly modern feel to a kitchen. Blacks and grays work especially well as part of two-colour items of furniture, and are commonly used as part of a wider trend of making home kitchens feel a little like professional or industrial kitchens. 4- Metal touches. Rather than polished steel, copper, gold and brass features are increasingly being used as a way of adding a bit of an industrial feel to kitchens. Copper or bronze faucets in particular are becoming more and more widespread and effectively add a flash of colour and brightness to a kitchen, especially if you’ve got dark coloured furniture or worktops. So there you have it – our top kitchen trends for 2018. We hope these give you a little bit of inspiration heading into the new year. And if you feel like a new worktop or countertop would be a nice addition, please get in touch.